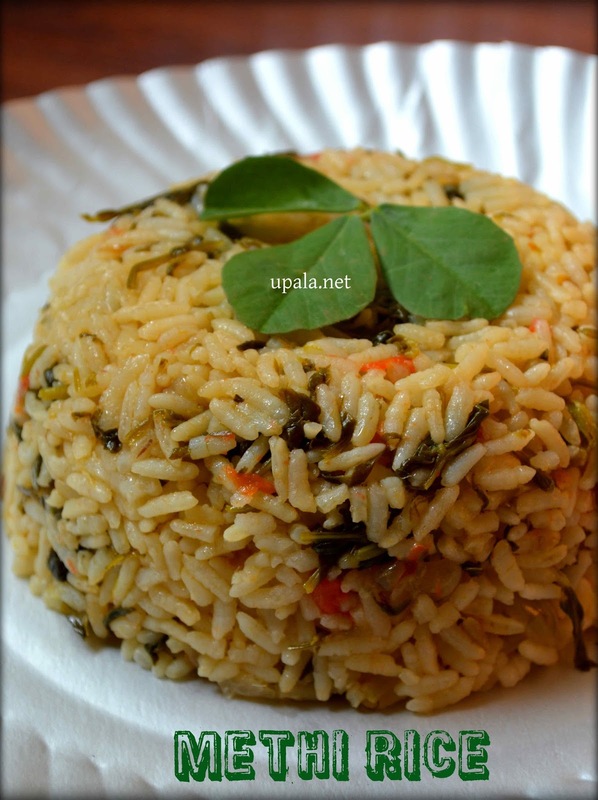 Methi Rice is a flavourful rice prepared with methi leaves/fenugreek leaves. 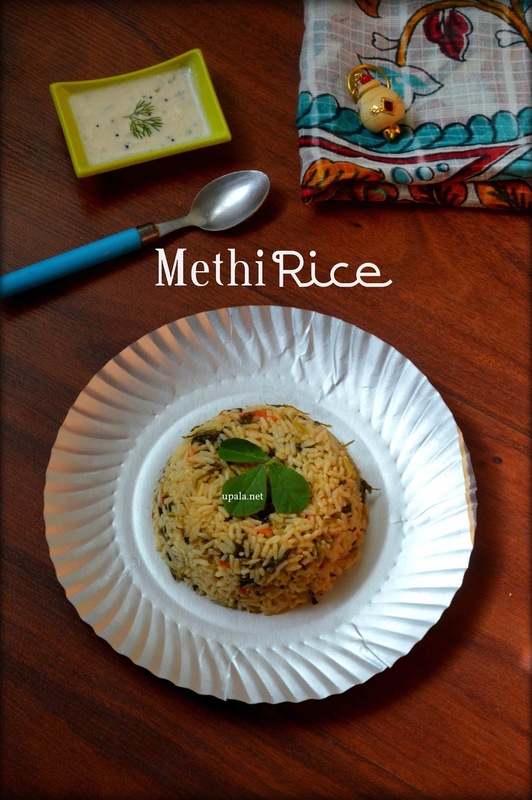 This Methi rice is a diabetic friendly, since we are preparing this recipe with fibre rich methi leaves and boiled rice. The dominating methi flavour is biggest plus to this rice and would definitely leave the plates empty. This one pot meal that can be prepared in a jiffy gives complete nutrition so "why don't you put a check mark to this methi rice?". Methi Leaves and Methi seeds have many health benefits to offer, one among them is their ability to induce insulin and slow down blood sugar absorption. 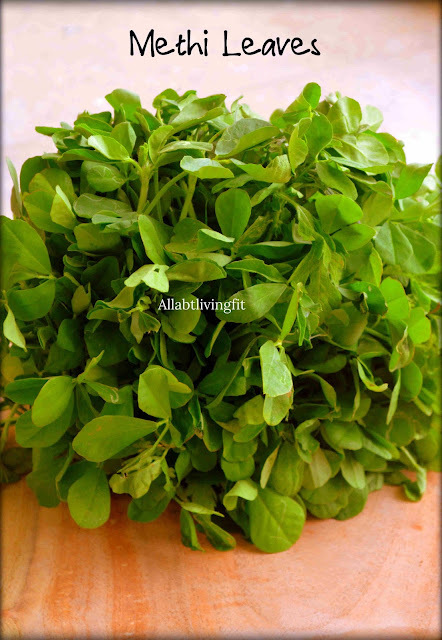 Interested to know Top health benefits of Methi, then click on the picture. 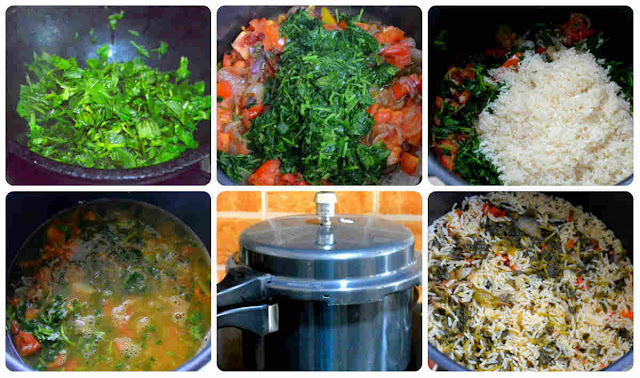 Let us now see on how to prepare this methi rice. 1) Wash the rice and set aside. 2) Heat 1 ladle oil in a cooker, add onions and green chillies to fry till light brown. 3) Then add tomatoes and fry till they get cooked in oil. 4) Heat 1 tsp oil in a different kadai, add Methi leaves and fry till they shrink in size. 5) Add the fried methi to cooked onion tomato mixture and mix well. 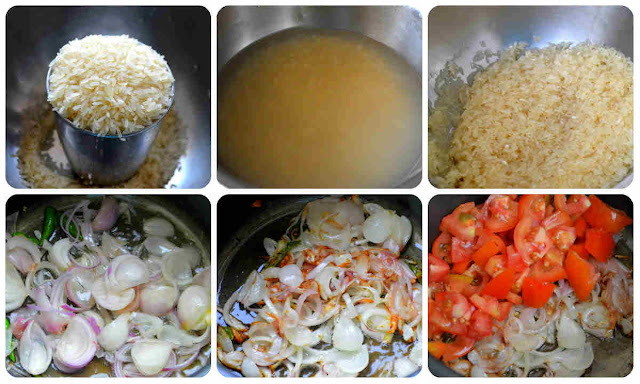 6) Now add washed rice and mix well. 7) Add salt, water and leave it to boil for 10 minutes. 8) Close it with the lid and pressure cook it for 2-3 whistles in high flame. Yummy Methi rice is ready to be served. 1) I have used ponni boiled rice, you can even use any raw rice variety or basmathi rice. 2) You can even cook the rice separately and mix this cooked methi mixture to it. 3) Add few red chilli powder for extra spiciness.